Clicking submit will submit your full profile to Vacasa. We started with just one home and an idea: to bring homeowners and renters together with smart technology and caring local teams. Today, we’re the largest full-service vacation rental company in the US thanks to the people who give us their best every day. You’ll fit right in here if you’re curious, entrepreneurial, and thrive in a rapid-growth environment. We live by a simple motto: happy team, happy owners, happy guests. Our local people are what set Vacasa apart. We’re hospitality professionals dedicated to the communities we work with. We’re the behind-the-scenes problem-solvers who create worry-free experiences for our owners and guests. We are looking for a strong operations manager to help directly lead our housekeeping team and help support our General Manager with their regional goals. The ideal candidate leads by example, communicates effectively, and is passionate about the tiny details, making positive experiences in every interaction with team members, guests, and owners. This position will require you to be cool under pressure, and balance challenging priorities on a regular basis. We are a vacation company and we will be the busiest when most folks are taking vacations-ie weekends, spring break, summer, etc. We’ll need you to be available. Assist the GM to guide your staff in strategic development within their regions. Support the GM’s vision of the project objectives. Traveling to and working in your region will be expected daily. Motivate and inspire your team members. Communicate expected results, set expectations and instill a high level of accountability within your team. Leverage your leadership skills to work with the full Vacasa leadership team to continue building a strong organization while also leaning on strong management skills to guide your staff day each day. Natural born leader: You will have a medium to a large team of Housekeepers. Your ability to lead the team in a collective and positive way is essential. You will also need to work with our General Manager to continually improve our service, strategy and set long-term goals. Communicator: Proactively communicate with your team in person and through email, video conference, and telephone to ensure that they are equipped with the information and support they need. Problem Solver: At Vacasa, we always seek to head problems off at the pass, but chaos theory prevails and we can’t pre-solve for everything. When something doesn’t go according to plan, you will need to go into action and work with teams across Vacasa to turn problems into opportunities. Computer Savvy: Our custom developed management software has set Vacasa apart as an industry leader. We use our system to manage all aspects of our business. While we will never ask you to do any coding, we will want you to be very comfortable thinking through how we might use technology to better our service. 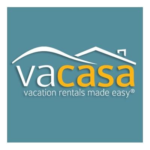 Change Agent: At Vacasa, we firmly believe that every employee should be a stakeholder in improving our owner and guest experience. As an agent of change, we will ask you to help identify areas where we have an opportunity to improve. Self Starter: To find success at Vacasa you need to be self-motivated, and ready to blaze your own path. This doesn’t mean we don’t have guard rails, it means we want to be impressed.